Once Pi is available with SD card we need to Install Operating system to boot the Raspberry Pi. We need to install the Operating system on SD card using different software and on windows/ Linux laptop and then put the same SD card in Pi. When we power on it will start/ boot with installed operating system. The Raspberry Pi primarily uses Raspbian, a Debian-based Linux operating system. I have also used the Raspbian so we will go through with the tutorial of installation of Raspbian. There are 2 versions available for download. RASPBIAN JESSIE WITH PIXEL: This version contains the Raspbian operating system. It will install and you will get the OS in GUI mode. Means you can use the mouse to operate. RASPBIAN JESSIE LITE: This version contains the Raspbian operating system. It will install the OS in command line mode and you will get the unix terminal to work. If you have knowledge of Unix and you are comfortable you can use this. Download the Raspbian and unzip in some folder. Once you will unzip you will get the operating system in .img format. 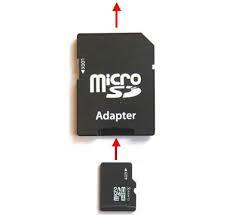 Insert the microSD card in SD adaptor and insert in slot in laptop. When you will insert the SD card your windows should detect the SD card. Select the drive letter of the SD card in the device box. Be careful to select the correct drive; if you get the wrong one you can destroy the data! Note try to download the latest raspbian OS, I used the one old version so my wifi was not detected so I installed the latest and it was working fine.